On Tuesday, September 26th at 7:00 p.m. we will have an election to establish a new Catholic School Council for St. John Paul II CES. 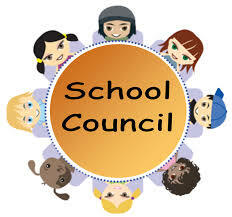 The members of the Catholic School Council play a vital role in the educational system of Ontario. They provide a forum through which parents and other members of school communities can contribute to improving student achievement and school performance. Nominations WILL be accepted from the floor. Please join us Tuesday, September 26th for our Catholic School Council election. We will gather in the staff room on the main floor at 7:00 p.m.